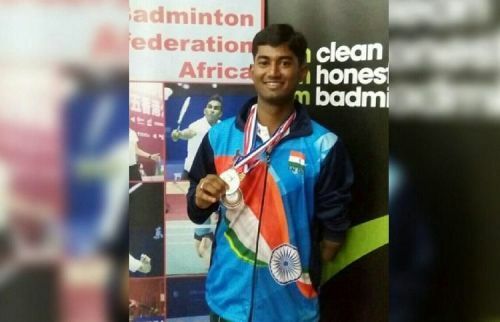 Indian para-badminton player Sugil Abbas has made an appeal to Govt. of Telangana for providing him sponsorship for participating in International events and monthly survival. Sugil Abbas, who does not have a left hand by birth, is an International para-badminton player who is currently ranked No. 21 in the BWF World Para-Badminton Ranking for Men's Doubles. Abbas tweeted out today to Telangana minister K.T. Rama Rao of the Telangana Rashtra Samithi, making his appeal for financial aid to ensure funds for his monthly survival and participation in international para-badminton events. Abbas trains at the famed Pullela Gopichand Badminton Academy in Gachibowli, Hyderabad and included a letter of recommendation from legendaryGopichand himself in his tweet. The letter states his credentials on the world badminton circuit and also highlights the fact that Abbas trains regularly since June 2017 for International Events and 2020 Japan Para Games at the Gopichand Academy. Pullela Gopichand also cited his hard work and diligence in training. Gopichand further goes on to recommend Abbas for being granted sponsorship from the government as he has bright prospects to acquire a podium finish at 2020 Japan Paralympic Games. Sugil Abbas is a well-known name in the para-badminton circuit and deserves to get a sponsorship and financial aid to carry on his training for the prestigious events. The recommendation from Gopichand further bolsters his credibility and the Government of Telangana, as well as the BAI, should come to his aid promptly.